The institute has appointed a medical officer. Medical aid is available to all the students of the institute. The institute has arranged for periodical checkup by Medical Officer on fixed dates. Patent medicines are made available for the students. Water filters alongwith water coolers are provided at many locations in campus. Water supply and electricity is available 24 hours. In case of power failure two generator sets of 62.5, 120 KVA are available for constant electric supply, as a standby arrangement. Bathrooms are clean and are adequate in number. They are fitted with sufficient number of geysers. 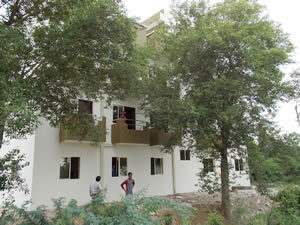 Cleanliness is given utmost importance and maintenance activities are closely monitored. The institute is operating a cooperative departmental store to cater to various daily needs of the students like stationery and Xeroxing. 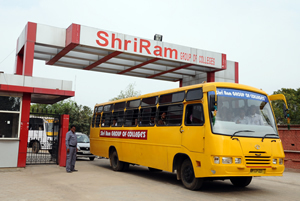 The Campus of ShriRam Group of College has provided various indoor and outdoor sports facilities. Students can enjoy indoor games like Chess, Carom, Table Tennis and outdoor games like Cricket, Hockey, Volley Ball, Basket Ball etc. An sports officer has been appointed to coach the students and look after the sports activity. The SRGOC central library is established since inception. The library has sizeable collection of books, journals on engineering and other related fields of technology. The library is one of the pillar for the progress of SRGOC students. The special feature of the library is collection of recent study materials including e-resources. The SRGOC is providing canteen facility to the students as well as teaching and non teaching staff of the group,it is capable of catering the demands of the students and can accomodate 40 persons at a time . 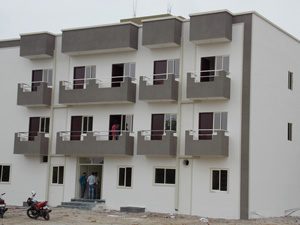 The College has a hostel for students in the campus itself. The rooms in the hostel are comfortable and well-ventilated & furnished with wooden tables, chair, beds and wardrobes for all students. The facilities are in sync with our attempt to provide a positive frame of mind along with quality education to the students. The environment of the hostel is very vibrant and homely. Lots of recreational activities like excursion, meditation, exercising are frequently framed to enhance the emotional, psychological & intellectual Development of the students staying here. 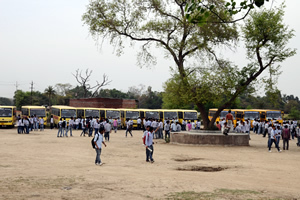 The college has provided free transportation for the staff and faculties while on very nominal rates to its students. 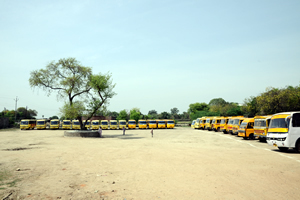 Bus facility is provided to students& staff from various places of Gwalior as well as Morena.